I spent ninth grade with my parents in Europe while my father was on sabbatical. Fascinated by electrical things but away from my workshop, all I could do was study, and so I taught myself about electronics. I describe this in another post. By the time I got home I was raring to go. I started by building devices from kits. I think my first electronic kit was a vacuum tube EICO FM tuner. I’m happy about the tremendous advances in electronics, except for one thing. Modern devices are built by robots using tiny surface-mounted integrated circuits. An entire computer central processing unit can be on a chip smaller than a fingernail, with hundreds of contacts on its underside. These contacts have to be aligned precisely with corresponding contacts on the circuit board, and then soldered in place with precisely the correct amount of heat. I have seen instructions on how to do this at home, using a toaster oven, but the procedure is so difficult that I am not willing to tackle it. And, even if I did, the interesting design challenges are inside the integrated circuits, not in the assembly of them into a device. In 1952 when I built my first kit transistors were a rarity. Most circuits were built with vacuum tubes and other components. Sophisticated kits used some printed circuit boards, but most interconnections were made by soldering wires from pin to pin. Building these kits was lots of fun. The neater you were, the better the device functioned. To build a kit you followed detailed step-by-step instructions, for example, “Connect a blue wire from pin 8 on vacuum tube V5 to one end of resistor R12.” You checked off each step as you performed it. When I was in college my roommates and I made a bit of money by building EICO tuner kits for a local Hi-Fi store. We would set the latest tuner kit up on a table in our dorm living room and any one of the five of us who had a few minutes would perform and check off a few of the steps in the instruction manual. This way we finished a kit in short order. The owner of the HI-Fi store told us that the kits we constructed were the best built and best performing ones he had. 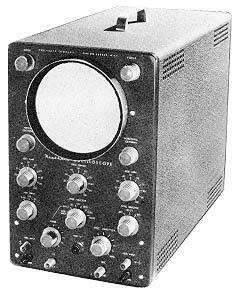 One kit company, Heathkit, had a very complete line of electronic test instruments at reasonable prices. Back then, unlike now, it was much cheaper to build it yourself. In tenth grade this was heaven for me. Over the next couple of years I amassed a fairly complete electronic workshop. My pride and joy was my Heathkit oscilloscope. I also had signal generators, analyzers, a tube tester, and everything else I needed to design, build, and repair most vacuum tube circuits. By the time I entered college I was beginning to built circuits from transistors, so I built a transistor tester too. Still, though, everything I built was hand wired. It was not until much later that I started designing circuit boards. After college and graduate school I was still building Heathkits. About 1965 I built a Heathkit color television, my first color set. I also built simpler kits with my two sons. I remember a Heathkit digital clock that particularly fascinated my younger son. My parents were not wealthy, so in high school and college there were many Heathkits I could not afford. In particular I lusted after the Heathkit analog computer, but at almost $700 it was way beyond my means. I think this is fortunate, because it meant that I had to design things for myself, and scrounge for surplus and discarded parts to build them. Building Heathkits was a lot of fun, but not at all intellectually challenging. The most challenging kit I built was not a Heathkit. It was the full size Schober “Recital” organ which I built in my thirties. Probably the most challenging device I ever built was a computer I designed from scratch, as I describe in another post. This entry was posted in Rudd's Blog, Uncategorized and tagged computing history, EICO, Heathkit, homebuilt computer. Bookmark the permalink.